Every good trader knows that you cannot fight the overall trend of the market and win consistently. Great traders know that the easiest way to make profits from the market is to go with the current trend and not fight it. Makes sense, right? Investors would love to know exactly when to get in a trade and when to get out. 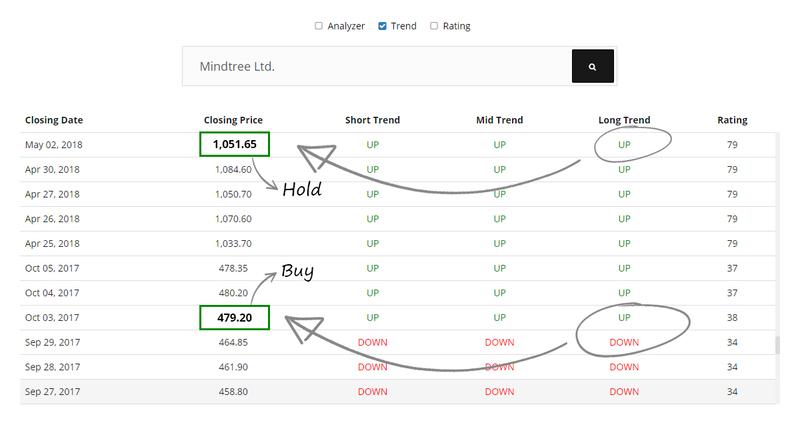 Trend System identifies the direction (UP TREND / DOWN TREND) of a stock price movement. The Trend is designed to help you quickly find when to buy, sell or hold a particular stock.